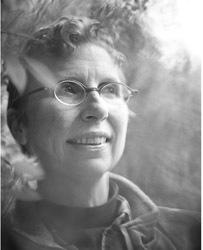 Marcy Westerling grew up in small town NewYork, graduated from Smith College, and moved out West. She took a position as Director of the Columbia County Women’s Resource Center, a domestic violence prevention organization serving this rural county in Oregon. 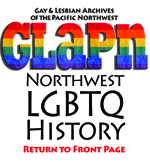 In 1992, the Oregon Citizen’s Alliance came to Scappoose to gather support for its anti-gay ballot Measure 9. Marcy fought back. She founded the Columbia County Citizens for Human Dignity to stand up to bigotry and educate neighbors - using shared values of democracy to combat politics based on fear and ignorance. 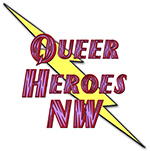 When she spoke against the OCA at the Scappoose City Council meeting, she was “outed” as a lesbian in the local paper. Marcy expanded her organizing to other rural counties, logging thousands of miles (and countless hours) to catalyze and support the formation of similar, local human dignity groups in rural and small towns across the state. These groups joined together as the Rural Organizing Project in 1993 with Marcy as the Director, a role she enjoyed until 2011. Rural Organizing Project (ROP), organizes, educates and mobilizes grassroots responses to violence, bigotry and injustice in their local communities. Thanks to ROP and Marcy’s efforts there are over 60 pro-democracy groups in small towns and rural communities throughout the 36 counties that make up Oregon. Marcy is long term partners with Mike Edera, a fellow organizer. Marcy was diagnosed with metastasized ovarian cancer at age 50 but continues organizing as able.